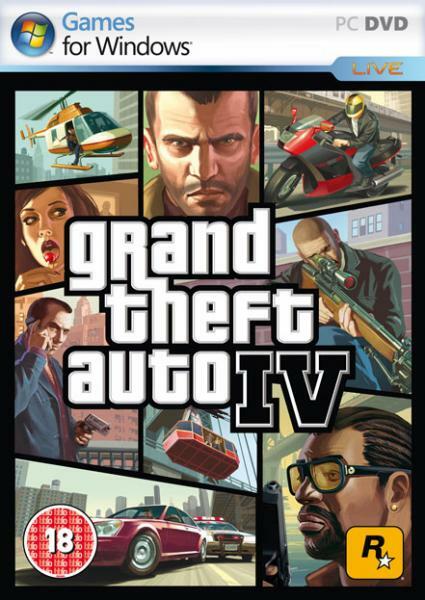 The new Grand Theft Auto IV boxart for the PC has been released. The game should be on US shelves on 18th November and is expected to be released in Europe a few days later. When Team Fortress 2 was released in October 2007 it finally completed its 9 year development cycle and was warmly received by critics and gamers alike. Yet if we trace back the game to its humble origins, as a mod for Quake in August 1996, we can see how far the series has come. 10 years ago a first person shooter game was released which pushed the genre, and gaming in general forward. Unreal displayed significant technological advances which had a major impact on the industry as well as the player. Do you enjoy writing reviews and why? Yes I like writing the reviews. It helps me with school book reviews and I like people reading them and I also like it that my dad and Wedgeh put my videos on youtube. Top Gear goes to America! No, I'm not on about the "America"
Xbox 360 to get DVD upscaling! Ubisoft release crack group RELOADED's work. Ubisoft, the French video game developer and publisher, was recently caught out being naughty with its pants around its ankles, releasing a pirated hack as an official fix. Ubisoft sells the PC version of its game Rainbow Six: Vegas 2 (RSV2) in a boxed retail format and through the online store, Direct2Drive, also via steam for American and Canadian customers. Go!View, Sony's joint video-on-demand service with Sky has launched today. PSP owners will be able to download and view TV, films and sport on their handheld console. Polish games publisher CD Projekt have announced that they are to be the next company to jump on the Digital Distribution bandwagon. CD Projekt, previously most well known for developing Action RPG The Witcher, will focus on dusting off classics such as the Fallout series and giving them a new lease of life with promises of XP and Vista compatibility. In July 2008 the game TrackMania Nations Forever which has been taking the globe by storm with it's free download, snatched a new record in the world of online gaming for having an outstanding 250 different cars on a single track. Men of War is an RTS title which takes place in Europe during the height of World War II, the story unfolding across three different campaigns played out through the eyes of Soviet, Allied and German soldiers. The LAN will start on the Friday at 4pm all the way through to 5pm Sunday. World of Warcraft players can now register their interest in being selected to beta test the upcoming expansion for the record breaking MMO. Approaching fast, the E3 Expo 2008 is just around the corner! There are a lot of big titles making appearances, WAR, Resident Evil 5, Left 4 Dead and Spore, just to name a few. Over the last two years there have been a large number of cases with the Nintendo DS Lite hinges cracking, then snapping or breaking off. If you are one of the unlucky ones with one of these there isn't a lot you can do unless it's still covered under warranty. Following the announcement of Diablo 3 this afternoon, GameOn are providing mirrors for all the trailers videos being released.